Are you looking for a travel trailer to escape the hustle and bustle of life? Look no further! 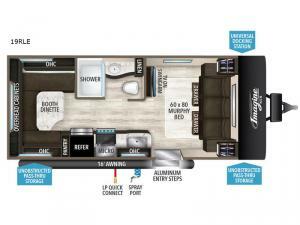 This Imagine XLS is a great mixture between the camping lifestyle and comforts of home. 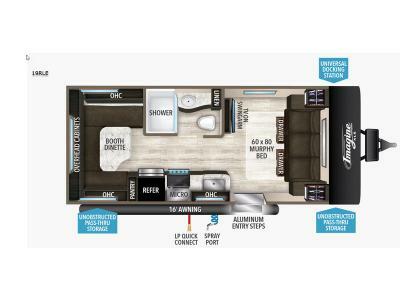 If you're looking to save on space, but still have enough sleeping areas then you're in luck because the Murphy bed and U-shaped dinette conquer that aspect. Some features that your eyes will be keen on are the appliances with the stainless steel and LED lighting. All of your hiking gear, fishing gear, and lounge chairs can be easily accessed in the pass-through storage, as well!